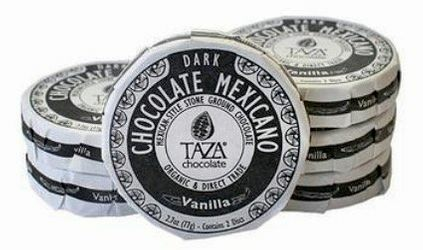 Taza Chocolate with Vanilla is a Stone ground, organic Mexican-style dark chocolate discs with fragrant vanilla bean. Experience chocolate with true grit! Two discs in each package, perfect for sharing.